The thermo-regulated fermentation occurs between 24°C and 27°C takes 12 to 16 days. The maceration on the skins follows for 5-9 days. After a basically mild winter, in early spring there was too little rain. June, on the contrary, was unusually rainy, with precipitation of 80 mm in the first fifteen days alone. After the first half of the month, the rain ended and the temperatures were summery, within the average for the season and without any particular peaks. The rains began again only halfway through August and then again halfway through September. The Sangiovese was harvested on October 20th. Thanks to the considerable differences of temperatures between day and night during September, the grapes developed exceptional aroma and extractions of colour. Bright Ruby. Stunning concentration of fragrances. Its ethereal fruity, flowery and balsamic notes strike for their fresh elegance. Notes of cherry, sour cherry, black cherry, morello cherry, violet, mint, aniseed, cinnamon. All its splendour is expressed in the palate with an extraordinary balance between the concentration of acidity and elegance. 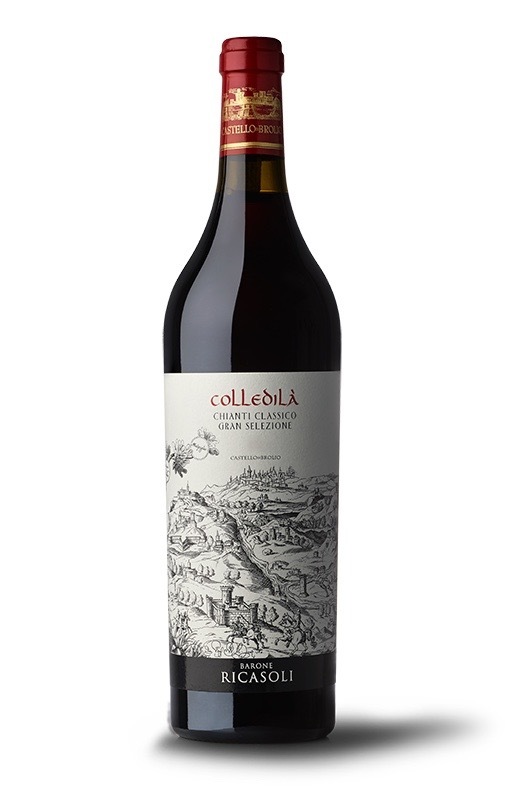 The typical notes of red fruit extended by the sweet tannins and mineral sensations return. Clean, elegant, lingering, delicate.